Who Saddled the Dems in North Dakota With Last Minute ‘Hunter Warning’ Disaster? Adapted by WhoWhatWhy from Pvt. Daniel Boothe / USMC and US Government / Wikimedia (Public Domain). 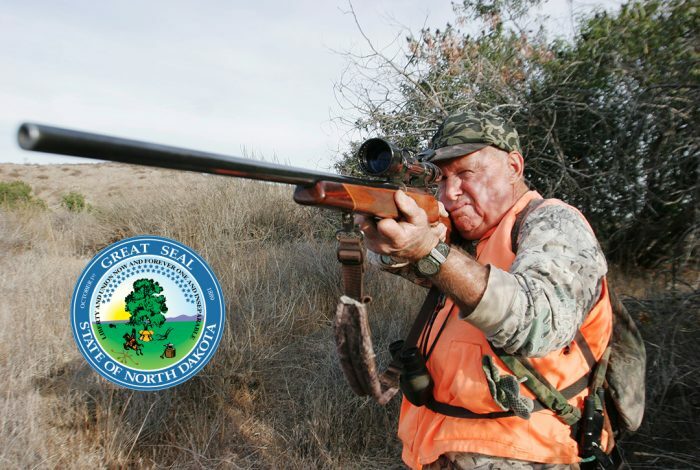 Over the last 48 hours, the right wing blogosphere has been afire with a tantalizing story: that North Dakota Democrats, locked in a tight battle for a seat that could determine control of the US Senate, are trying to scare hunters into staying away from the polls. 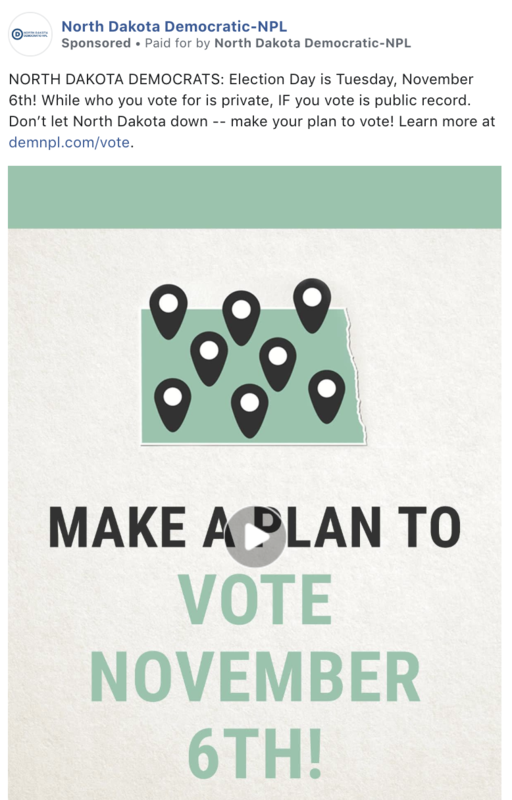 The story, best as we can determine, began when a Facebook ad appeared that was paid for by the North Dakota Democratic-NPL Party (the name the state’s Democrats go by), and led to a strangely simplistic and stark page on the party’s website — without any accompanying graphics — that cautioned hunters of problems if they try to vote. 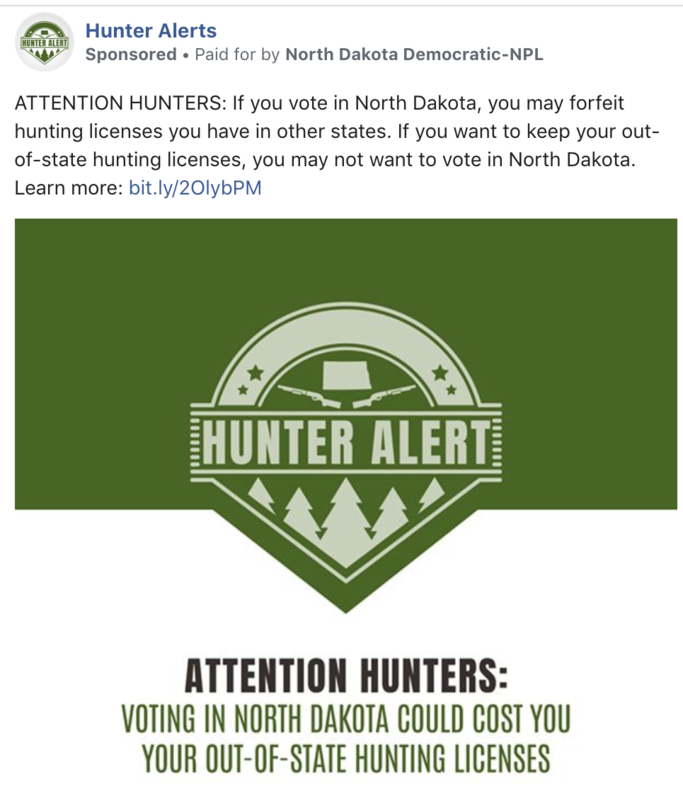 “By voting in North Dakota, you could forfeit your hunting licenses. “You MUST be a resident of North Dakota to vote here. And if you are a resident of North Dakota, you may lose hunting licenses you have in other states. No matter that the text itself is baffling, no matter that it is perplexing why the Democrats would publish something like this, it was catnip for the other side. Despite Facebook’s own numbers showing fewer than a thousand North Dakotans saw the ad — or 0.13 percent of the Peace Garden State’s own population — conservatives jumped on it. Shortly after it appeared, a Republican blogger posted about it, and it quickly bounced upward until the ad had been adopted by Donald Trump Jr. and then Fox News. “Only the party that wants to take your guns could do something so untruthful to suppress the North Dakota vote,” the president’s son said on Twitter as he accused the Democrats of voter suppression. That accusation by Trump Jr. comes as Republicans themselves have faced voter suppression accusations in North Dakota over a new state law requiring voters to have an ID that shows name, birthdate, and address in order to vote. That, however, disenfranchises the sizeable segment of North Dakota’s Native American population that lives on reservations. We tried to ascertain whether the Democratic leadership had really intended to publish such a reckless and seemingly pointless and ultimately self-sabotaging page — and if so, why. Given the stakes, and the increasing commonness of dirty tricks — including the recently exposed effort to portray Russiagate special counsel Robert Mueller as a sexual predator and another where a conservative activist was caught trying to infiltrate a Democratic campaign — caution is advised. Also, we wondered in part because of a long history of “October Surprises” — engineered last-minute gambits that cause confusion or introduce an unexpected element that can turn a tide. Or was this simple ineptitude or strategic miscalculation on a colossal scale? Let’s assume that someone within the Democratic apparatus raised the hunting license issue and suggested they alert voters. The question then is: who did that, and why, and why would higher-ups agree? To what advantage? A much bigger recent story — voter suppression affecting Native Americans in North Dakota — has benefited the Democrats. Why use the same tactics and expose yourselves as blatant hypocrites? The Native American disenfranchisement has big ramifications. Meanwhile, the hunting gambit, if that is what it was, has almost no obvious benefits. And, thanks to coverage, could do significant last-minute harm in this close race. In addition, what would have been the actual target audience? It’s a pretty small group, one that seemingly would need to meet all of the following criteria: Hunters in North Dakota who don’t have a North Dakota hunting license but do have one for another state or maybe have them in multiple states; are likely voters who can be persuaded by this not to vote; are on Facebook; and would have seen it even if the GOP had not seized on it and promoted it. If we believe that people normally act in their own best interests, it is hard to see how the Democratic-NPL Party benefits in this case. We were unable to determine the origins and authorship of the Hunter Alerts. We spoke twice to a junior staffer who answers phones at the party’s office in Bismarck, and we left two messages for the Communications Director, before learning he had traveled to Fargo. When we called the Fargo office, we got a message saying their voicemail was full — perhaps with messages regarding the scandal. As of Friday night, the state Democratic Party’s social media accounts — Twitter and Facebook — and website hadn’t commented about the warning, which as of Saturday morning still appeared on the party’s website. The Facebook ad — running under an account called Hunter Alerts and clearly designed to attract hunters — was listed as inactive early Friday afternoon, according to Facebook’s ad archive page. We reached out to Facebook asking when the hunter warning ad was put up, how long it was up for, how much money Facebook received for this particular ad, and if there was a reason the ad became inactive. Facebook has not responded to us. WhoWhatWhy also emailed the press team for Sen. Heidi Heitkamp (D) — whose campaign raised huge sums nationally and just gave more than $2.7 million to the state party — asking about the ad. No response from the senator’s team. Heitkamp is battling to keep her Senate seat. She currently trails her Republican opponent, Congressman Kevin Cramer, by double digits just days from Election Day, per RealClearPolitics. On Friday, Heitkamp, asked on camera by an unseen person to comment, appeared caught off guard but familiar with the ad, and seemed as if she were trying to defend it while avoiding the particulars. It’s hard to know what this means, whether she only learned about it after the fact and was trying to avoid providing ammunition (pardon the pun) to the opposition, or whether she had any actual involvement. Meanwhile, the Republicans’ haste and ability to score points with this contrasted sharply with the Democrats’ seeming dysfunction. The GOP war room also immediately posted the video of Heitkamp’s response, under the hashtag #MAGA. And by Saturday, virtually every news organization of every stripe had picked up the story, and stated that the Democrats were guilty of a dirty trick. So this has gone very, very wrong for the Democrats in a tight, potentially all-important race. For some, it will recall the late-game discovery of Hillary Clinton’s emails on the computer of the toxic Anthony Weiner and the related announcement of a reopened FBI investigation into Clinton, which many believe played a role in Donald Trump’s unexpected victory. We will update this story as more information — substantive information — becomes available.